One of the characters in Domestic Violets remarks that most first novels are autobiographical. Whether or not they’re autobiographical, it seems to me that a lot of first novels tend to be reminiscent of other people’s novels. That’s not meant to say that they can be derivative; it’s more likely due to the fact that a new author doesn’t have an established record yet, so he or she really can’t be easily evaluated against his own catalog. 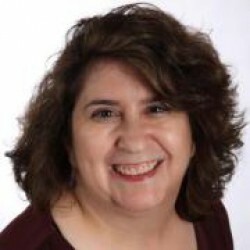 This can work either for or against them, depending on the connections a reader makes between the new author’s work and other fiction that seems similar--and with Domestic Violets, just about all of my associations were favorable. I think it’s an interesting comment on how quickly we process current events in the 21st century that Domestic Violets was published in the early autumn of 2011, and its events very specifically take place in the early autumn of 2008. The presidential election and the spread of the Great Recession both influence what’s happening to Tom Violet. Having said that, Domestic Violets isn’t about either of those events; as its rather punny title implies, this novel is firmly located in the domestic-fiction sphere. Its concerns--marital strains, friction between parents and adult children, career dissatisfaction--are everyday and entirely relatable, although in most everyday lives they’re not as funny. The humor runs high in Domestic Violets, as narrator/protagonist Tom Violet relies on it as a coping mechanism for the chaos of his life. He’s just worked up the nerve to show people the novel he’s been working on secretly for five years, while his world-famous novelist father has finally won the Pulitzer Prize--and moved into his spare bedroom, He and his wife Anna are in what’s best described as a “rough patch,” and his attraction to his young coworker isn’t helping smooth that out. The attractive coworker, and the amusement of an ongoing feud with a MUCH less attractive coworker, may be his primary reasons for going to the office each day, because the work holds almost no attraction at all. Things are pretty clearly on the verge of falling apart...and they do, quite entertainingly. Seeing how Tom picks up the pieces is quite entertaining as well. As I mentioned earlier, Domestic Violets reminded me of several other novels and novelists--all favorably. Matthew Norman’s style is his own, but his approach to some aspects of the novel reminded me of Jonathan Tropper and Greg Olear, while some of the work-oriented sections brought to mind Joshua Ferris’ Then We Came to the End. But Norman’s depictions of the domestic misadventures of literary people, particularly in the later portions of the novel, most made me think of Michael Chabon’s second novel, Wonder Boys. 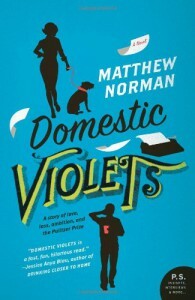 Chabon’s one of my very favorite authors, and Wonder Boys is my favorite of his books, so my connecting Domestic Violets with it is a very good thing for Matthew Norman and the future of our reading relationship.